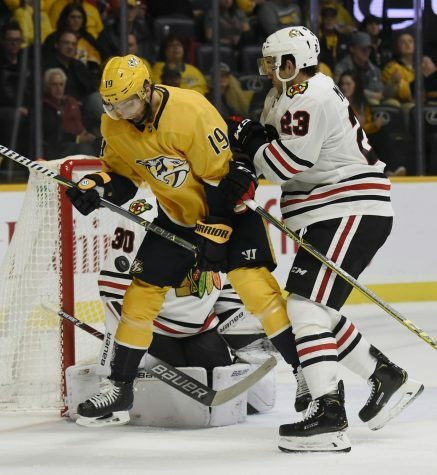 NASHVILLE, Tenn. — Eeli Tolvanen scored his first NHL goal and added an assist to lead Nashville to a 5-2 victory over the Chicago Blackhawks on Saturday night. 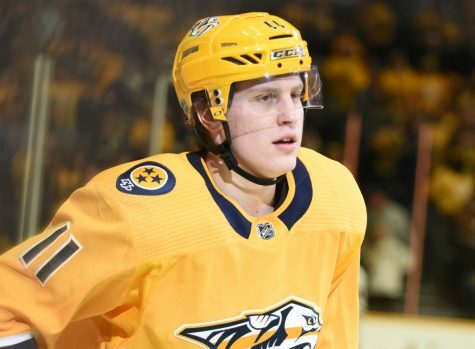 Tolvanen was recalled from Milwaukee of the AHL earlier Saturday after Filip Forsberg, the team’s leading goal scorer, was placed on Injured Reserve with an upper-body injury that will sideline the Swede for 4 to 6 weeks. Nashville was already without forwards Viktor Arvidsson and Kyle Turris and defenseman P.K. Subban, who all are on IR. Center Nick Bonino missed Saturday’s game with illness. Anthony Richard was also recalled Saturday and arrived at the arena late in the afternoon in time to make his NHL debut. 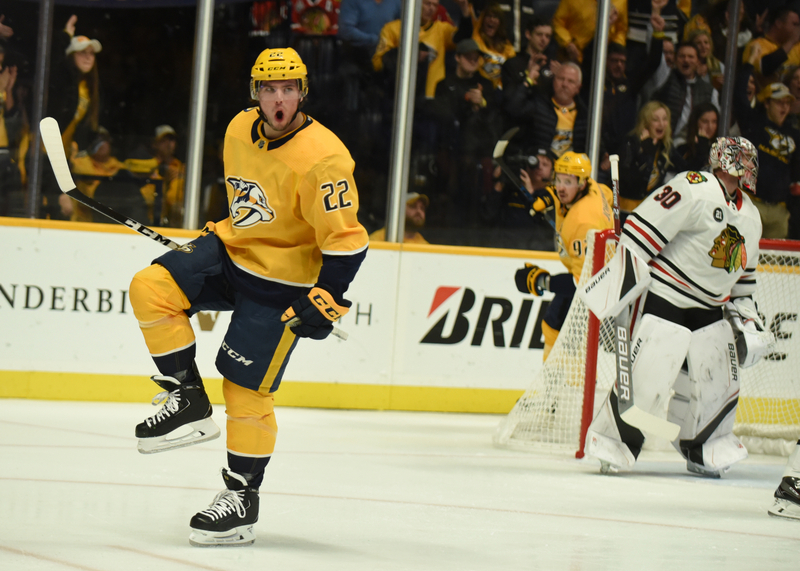 Craig Smith, Kevin Fiala and Ryan Johansen also each had a goal and an assist, and Austin Watson added an empty netter for the Predators. Pekka Rinne stopped 19 shots.Nashville was motivated after a 3-0 loss to Arizona on Thursday night.”We had a tough practice yesterday, everybody was pretty angry,” Fiala said. “Today we (brought) it to the game and everyone was still (upset) about the last game and it was a great response.”Brandon Saad and Artem Anisimov scored for Chicago, which has lost three straight. Cam Ward finished with 24 saves.Johansen’s power-play goal at 4:11 of the first made it 3-0. Watson added his empty-netter with 2:54 remaining in the third.Fiala scored the game’s first goal at 2:11 of the opening period. From the left point, Matt Irwin threw the puck into traffic in front of the Chicago net. In the low slot, Fiala grabbed the puck, spun around and beat Ward low on the stick side. NOTES: Laviolette earned his 200th regular season victory with Nashville. … Predators C Anthony Richard made his NHL debut. … Nashville is 6-2-0 against fellow Central Division teams this season. …Chicago is 2-12-1 when giving up the first goal. .. Anisimov has scored in consecutive games for the first time this season.